This new accessory is available for 2012- S60, V60, V60cc, XC60, XC70, and S80 models. Start your Volvo with the push of a button on your key fob. In the Cold or the Heat of Summer. Check with your Service Advisor for model compatibility. Valid only at Portland Volvo Cars. Plus tax. Coupon must be presented at time of write-up. One coupon per customer, per visit. Not valid with some other offers. No cash value. Not retroactive. See dealer for details. Don't let bad roads ruin your ride. Take advantage of our Pothole Special! 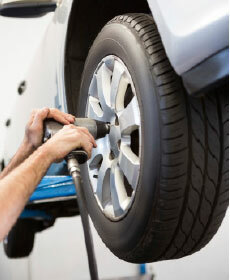 We'll check your suspension and perform a 4 wheel alignment after any repairs if needed. (Regular price: $139.95).